bunker to the left, a small plantation of trees, and grass mound to the right. Anywhere short of the mark forces a decision; risk a less than perfect second to the uphill fairway, or play short of the very large cross fairway bunker and risk a less than accurate pitch to the green. Either way the green is significantly higher that the fairway making club choice difficult. 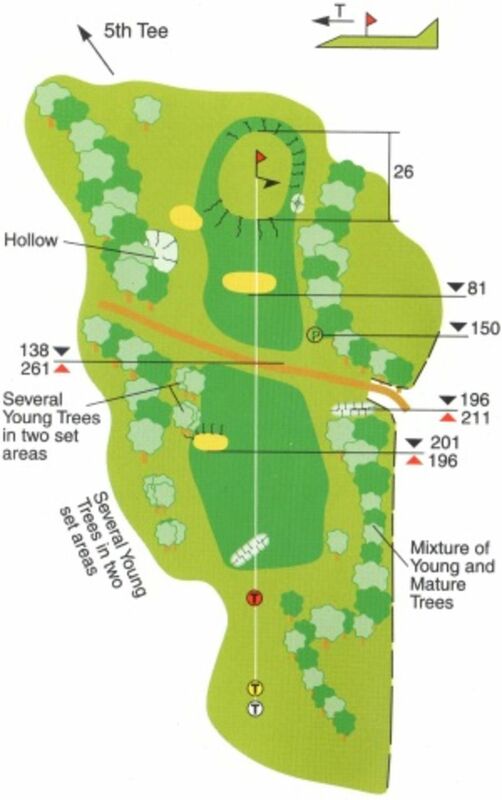 The green is protected by grass mounds right and a front left bunker. A bank to the rear of the green can make any chip back more difficult. Any advantage gained on the third with the prevailing wind is certainly reversed here.